2000ct. Single Roll Admission Tickets. Often used as admission tickets for entry into an event. 2000 consecutively numbered tickets, available in 3 colors. Red, White or Blue. Size: 1" x 2" - consecutively numbered, each printed with the words "ADMIT ONE." 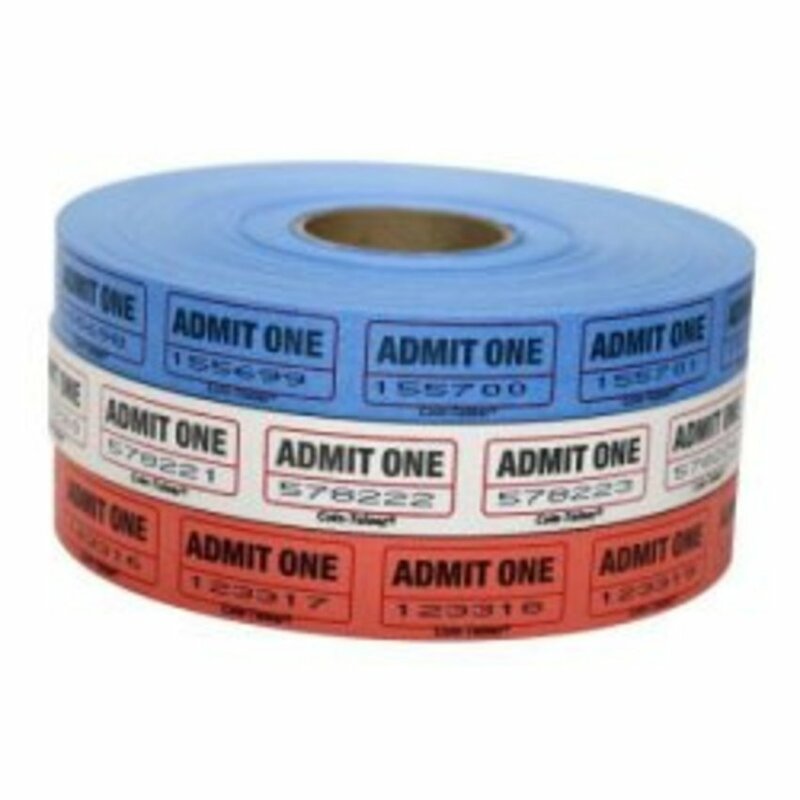 These inexpensive, single roll tickets can be used as food or beverage coupons, drink tickets, prize tickets, raffle tickets, or even admission tickets. Order before 2pm ET Monday through Friday and your admission tickets will ship out the same day!